So the cooler mornings and dark evenings have set in….autumn is here and winter is looming…but it’s not all doom and gloom…this time of the year brings plenty of fun change to our lives! Not only do the trees glow beautiful golden hues, and we get to bring out our fab winter wardrobes with boots, stylish jackets and warm winter makeup colours, but we also get to revamp our skincare regime! Just like our clothes, we need to swap our skincare products to suit the season so we continue to radiate all year round! Cooler autumn and winter weather tends to be drier and have less humidity than summer. The drier the air the more moisture is sucked from our skin, which is why we often experience dry and flaky skin, as well as ezchema, in winter! If you work in an environment with a blasting heating system all day, this again reduces humidity, resulting in dehydrated skin. The cooler seasons can stop us feel as thirsty as in summer, which can result in a lower level of fluids being consumed! This is an obvious one as the less water we drink the more dehydrated we become. Lastly, although hotter showers and baths on chilly mornings and evenings make us feel warmer, and are a lovely way to relax, they can strip our skin of its natural oils, leaving it feeling tight and dry! So how do we overcome these factors? Richer, more nourishing skincare product alternatives are key to ensuring your skin is protected from drying out and staying hydrated! And we’re not just talking about your face…your whole body needs nourishing moisture during autumn and winter! Preheat the oven to 180 degrees celsius. Shake the cauliflower florets, onion and garlic cloves in a plastic bag with the olive oil. Place all on a baking tray and roast for 30 minutes until the cauliflower is golden brown on the edges. Remove from the oven, add to a food processor with all the other ingredients and process until smooth. Add more stock if you like a thinner soup. Pour into a saucepan, heat for 10 minutes over a medium heat and serve. If you would like advice on picking the best products to suit your skin this autumn and winter, please pop into our salon anytime and have a chat with one of our expert beauty therapists. We also offer a Specialised Skin Analysis & Diagnosis service using our OBSERV Diagnostic Device, which checks the health of your skin so we can prescribe the right treatments and products for optimum results. It is a perfect time to take a closer look at your skin, so if you’re interested in this service, find out more about the OBSERV here http://paniaryan.co.nz/specialised-skin-analysis-diagnosis/. We are gearing up for a fun and fabulous festive season at Pania Ryan Beauty Retreat, with an exciting whirlwind of Christmas parties, special occasions and beautiful weddings to prepare for. There is so much to update you on. Read on for our latest news as well as beauty tips for the coming summer. And, although it is a busy time of year, I know how essential it is to find time for some restorative peace and quiet, or pampering, too. Our new spa packages may provide just the retreat you need. I would like to thank all our wonderful clients for your support over the past year. I wish you a safe and happy holiday season and wonderful Christmas times with your families. 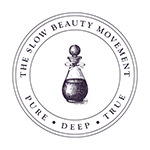 Beauty Retreat becoming a member of the slow beauty movement. Slow beauty is a world-wide movement away from the quick-fixes of the past that included invasive approaches like surgery, injected treatments and chemical peels – treatments that sometimes did more harm than good. Instead, slow beauty embraces a more holistic health-based beauty philosophy with good nutrition, hydration and healthy lifestyles part of the essential mix. The focus is on dermo-nutrition, wellness and genuine skin health from the inside out. 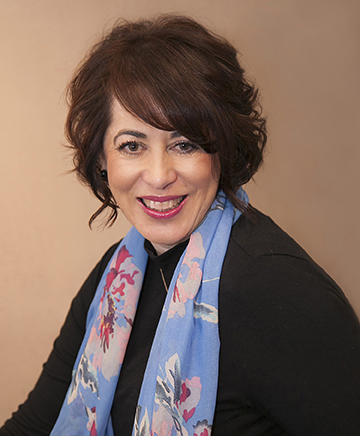 With a background in aromatherapy, Pania has always preferred using nature-based, proven and safe products in her salon, so slow beauty is a perfect fit, melding seamlessly with many of the products and treatments already offered. But just because the philosophy is called slow beauty, it doesn’t mean slow results – far from it. Our treatments and products still offer long-term skin benefits, just with none of the risks. A gift from Pania Ryan Beauty Retreat is a wonderful way to pamper someone special this year. 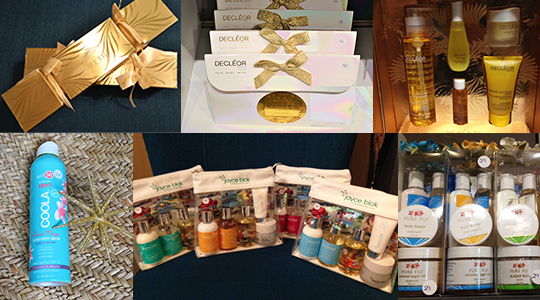 Gifts range from small stocking fillers, all the way to an unforgettable spa package to pamper and restore. Pania Ryan Beauty Retreat gift vouchers are available for any amount and are beautifully presented in an envelope and Christmas ribbon. Pania Ryan Beauty Retreat also has sumptuous Decléor Paris gift packs that sell out every year, skin nourishing Joyce Blok Summer Essentials packs for glowing, hydrated skin and an impressive range of Pure Fiji gift packs for a gift to enjoy for months to come. At Pania Ryan Beauty Retreat we have added the Aspar treatment range to our spa packages. 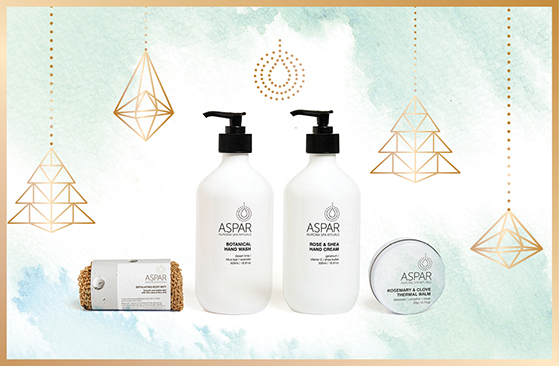 Botanically active and essential oil based, Aspar products are specially formulated for use in spa treatments for hydrating and nourishing the skin, or to relax and unwind the body. Made in Australia, each formulation in the range is free from parabens, lanolin, sulphates, SLS, mineral oils, artificial colours and fragrances. The Aspar range is used at the Aurora Spa at the Gold Coast’s Palazza Versace and on all Qantas first-class flights. Our new OBSERV digital skin scanner allows therapists to examine the skin layers below the surface – beyond what can be seen by the natural eye – record images and show changes over time. But most importantly, it allows us to observe areas of concern and help you choose the right products to maintain and improve the condition of your skin. 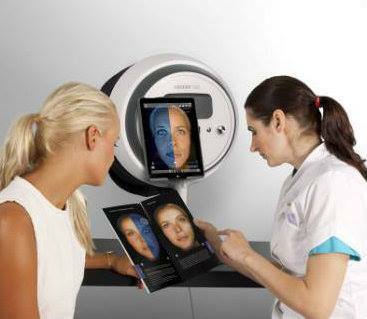 Skin scanning technology means we can also offer seasonal consultations for a skin ‘check-up’, or to review products and gauge progress. If you haven’t tried this new technology yet, you will be amazed at what it can do! Exciting news! Our virtual salon has arrived. Not only can you keep up to date with the latest salon news and beauty information on our website, you can now shop online. Along with online shopping, there are more changes to come at www.paniaryan.co.nz in the New Year. We are fast becoming your one-stop-shop for health and wellness, beauty and fashion as well as, of course, everything skin care. We have updated our treatment menu at Pania Ryan, including a new range of spa packages and facials. Come in, de-stress and let our wonderful staff pamper you from head to toe. Also out now are new loyalty cards for Joyce Blok and Decléor. When you purchase 10 Joyce Blok home care products or 10 Decléor products, you can earn a free gift. or slipped down a notch for a pretty, romantic look. In New Zealand’s harsh sun this means more care is needed to apply sun protection on the shoulder, neck and back – all areas at high risk for burning and sun damage. The best way to maintain a younger looking skin and protect against skin cancer is always to apply sun protection and reduce sun exposure. See the team at Pania Ryan Beauty Retreat for the latest skin protection products from Coola and New Zealand-made Joyce Blok, as well as auto bronzing creams for sun-less tanning. Summer fashion will be rocking a 1980s romantic revival with flared or bell sleeves, bright prints, florals and frilled designs this year. Floaty silhouettes, cool pastels and the return of 90s silk slip dresses are making it easy to get in a summery mood. And although candy-coloured pastels are still huge, a hot colour for your special occasion wear this season is a spicy chilli red, which looks extra glamorous in the sun when combined with gold accessories. Bright colour is still in fashion for the lips and nails this summer, too, with new nail shades ranging from bold fuchsia pink to pops of bright blue, yellow or coral. Love the Christmas festivities but wanting to reduce your refined sugar intake? 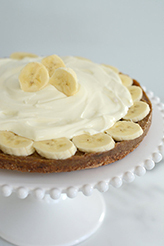 A healthy spin on the traditional banoffee pie could be the answer. Here’s a recipe to try, courtesy of Lauren Parsons from her new book “Real Food, Less Fuss”. Preheat the oven to 160°C (320°F). Place the base ingredients in a food processor with an S blade and combine to form a crumb. Press down into a lined spring form tin or pie dish. Meanwhile blend the centre measure of cashews for 2-3 minutes, pausing and scraping down as needed to form a paste. Then blend in the dates and vanilla. Lastly add the banana and blend until smooth. It is quite a sticky mixture so give your blender a break if it is heating up. Once the base has cooled, pour the filling in and spread it out. It can be very sticky so use a metal spoon that has rested in a cup of boiling water to spread it evenly. Keep chilled until ready to serve. Top with a layer of thinly sliced banana (saving some for a garnish) then a layer of Greek yoghurt spread out to the edge of the outside ring of banana slices. Garnish the centre with a few remaining pieces of banana. Go to www.bit.ly/CWLBanoffee for a step by step demonstration video. Bing Crosby’s Christmassy tune “White Christmas”, by Irving Berlin, is the best-selling single of all time, with over 100 million sales worldwide since 1942. During the Christmas shopping season, nearly 28 sets of LEGO are sold every second around the world. Many parts of the Christmas tree can actually be eaten, with pine needles being a good source of Vitamin C.
The tradition of putting holly in Christmas decorations actually looks ahead to the Easter story. The holly in a wreath symbolises Christ’s crown of thorns, while the red berries represent drops of his blood. Gold-wrapped chocolate coins commemorate the original St Nicholas who is remembered for giving bags of gold coins to the poor. Monday 9am – 4pm, Tuesday 9am – 6pm, Wednesday 9am – 9pm, Thursday 9am – 8pm, Friday 9am – 6pm, and Saturday 9am – 4pm. Pania Ryan Beauty Retreat closes for the year at 2pm on Saturday December 24, and reopens in 2017 at 9am on Wednesday January 4, 2017. The last day for treatments is Friday December 23 – so book now to avoid disappointment. We wish you all a very merry Christmas – relax, have fun and look after yourself. Once again, we thank you for your amazing support and look forward to seeing you in the New Year. What an outstanding, truly memorable experience we had at this year’s conference! We were treated like absolute royalty and have returned refreshed, excited and inspired from our journeys and all that we learnt! Day one started by checking out the stunning scenery Queenstown has to offer, an incredible 3-course lunch with impeccable service at Josh Emett’s restaurant, Rata, and a truly relaxing experience at Spring Spa! On day two we headed out to Arrowtown, where we enjoyed amazing wine tasting at Millbrook Winery and lunch, before heading back to Queenstown where we did more sightseeing of this incredible location. Arrowtown was so beautiful, the wine was so flavoursome, the crepes at Bonjour for lunch were scrumptious, and it was so cool seeing Queenstown’s gondola sweeping across the city at night time! On day three we had a fantastic, inspiring day with the Joyce Blok team, plus we also had great fun viewing Queenstown from the gondola. We also got to do a touch of shopping and planning for Christmas! Day four kicked off by waking up to the most breathtaking sunrise, then we were in full Joyce Blok training mode, where the experts showcased new treatments and skincare news! Following the training we got to glam up for the Joyce Blok Awards night/Conference formal dinner at Amisfield Winery. The last day was yet another inspiring session with the Joyce Blok team and guest speakers, including a presentation from Wellbeing Specialist, Lauren Parson. We truly love Joyce Blok and all that this gorgeous brand stands for! We are so proud to be a part of such a stunning brand! A HUGE thank you to everyone at Joyce Blok for the most incredible time! We are so excited to now share the latest from the conference and all that we learnt with our wonderful clients!